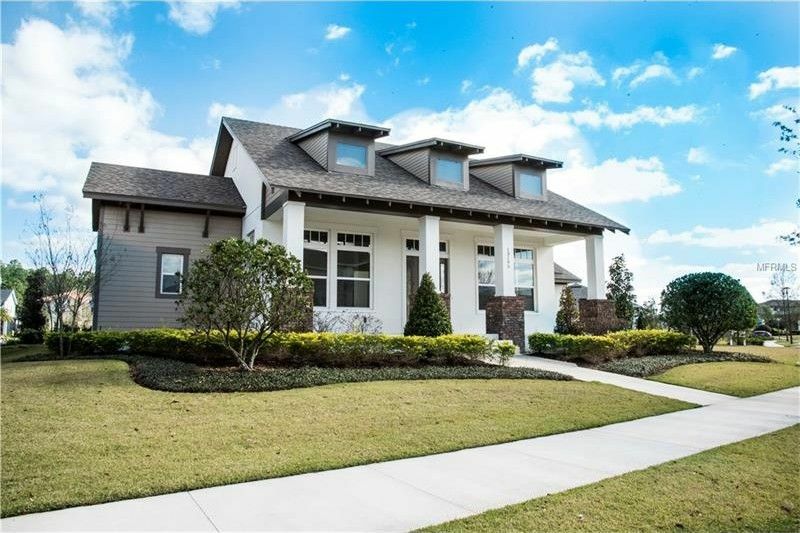 *Custom Model Home*Large fenced in yard* Issa homes is one of the most desired custom home builders in Orlando and Dorchester model that has not only charm, but all the detail you would expect from an high end estate home. From the moment you walk in the door and step on the chiseled Travertine floors and look up at the coffered ceilings in the formal dining and formal living room you feel elegance from every step you take into the home. The experience continues into the Estate Gourmet kitchen with 42inch cream glazed cabinets, under cabinet lighting, grey glass subway tile, gas cook top, build in oven & microwave, French door refrigerator with separate bottom freezer door. Moving into the master bedroom adorned with double door entry, double tray ceiling with crown molding throughout, recessed lighting, large master bath with separate tub and shower stall with custom glass tile linier patterns, really impressive. All other guest rooms are large with full baths with granite counter tops and upper level tiles along with recessed lighting. Above the garage is a in-law suite with living area, separate bedroom and full bathroom that could be used for a office, media room, exercise room or teenager retreat. The 3 car garage has been painted with epoxy for easy clean up of dirt and oil. So many details and custom work in this home it must be seen to appreciate. One other lot available with 3 floorplans to choose from. Don't miss your chance to be a proud owner of a Issa home.